Happy New Year everyone! I hope you’ve all had a wonderful festive season. I’ve had a bit of a break from card marking but am now back on track. It’s time for our first sketch challenge for 2017 at Freshly Made Sketches. The very talented Linda Callahan is our sketch designer this week. January means new product time at Stampin’ Up!. I’ve used a new-to-me stamp from the up-coming Occasions Catalogue set, that I know is going to be a favourite of mine, for masculine cards. The set is called High Tide. We would love it if you could join us with this challenge. 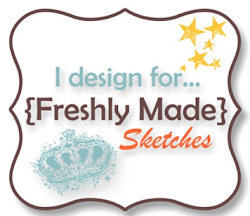 Head over to Freshly Made Sketches and take a look at the wonderful inspiration the DT have provided. Love seeing this new set in action! Beautifully done in gray with the red stripes! Hope you are enjoying your vacation! Love what you have done with the lighthouse and the colours you have used…. I liked this set in the catalog when I first saw it, but thought I didn’t need it. 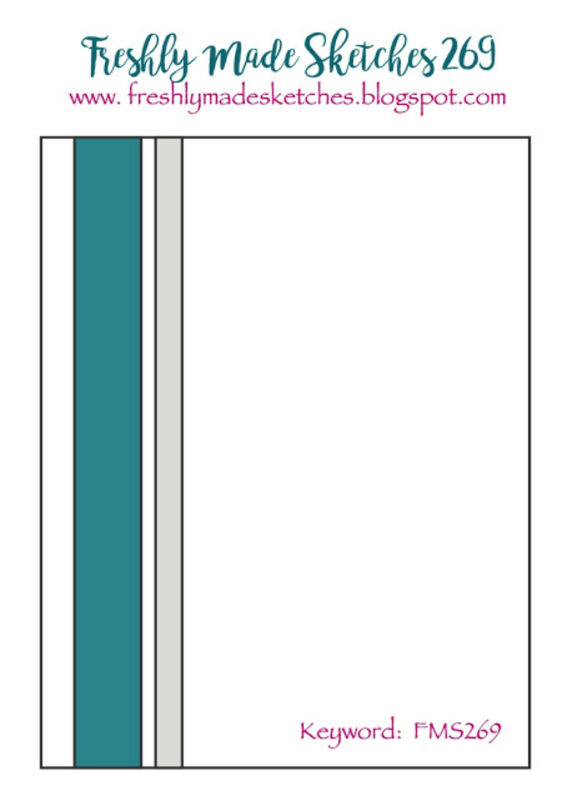 However, you make this set look much better than what it looks in the catalog! But that’s nothing new for you. Love the red striped dsp with it. The stripes work perfectly with this gorgeous image and sentiment! Fabulous card, Narelle! Such a fabulous card, Narelle ! This set seems terrific, I love lighthouses, and you’ve made a wonderful use of it. 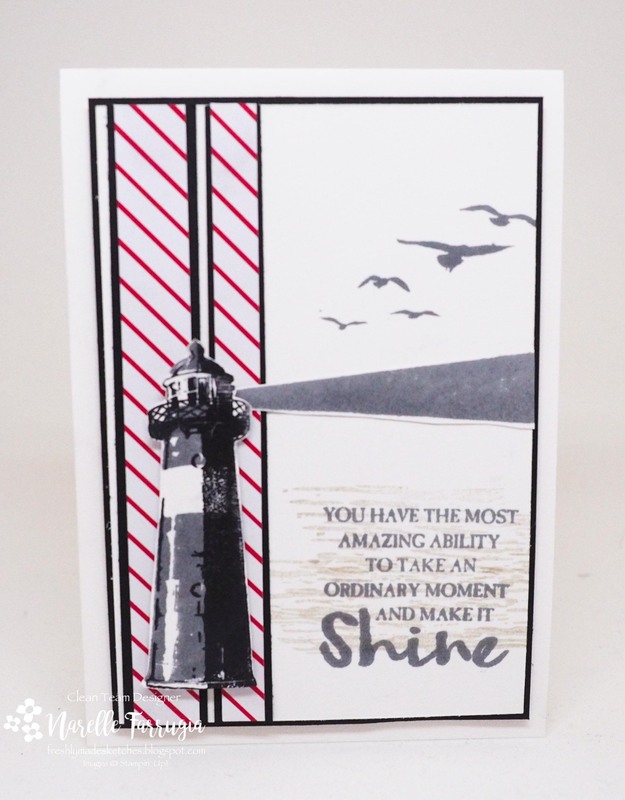 Fantastic masculine card, I love the lighthouse and sentiment. What a great way to use the lighthouse image! I love the stripes and the way the light frames the sentiment. What a great card Narelle! I love that lighthouse! Looks great with that DSP! So creative! This is so awesome, Narelle. I love the lighthouse and the way you used it for the sketch. Brilliant. I love your gray image on the red diagonal stripe – a fabulous look!